School-leaving certificate in Athens (1957). Studied electronic engineering at the University of Technology, Munich (graduate engineer) (1958-1963). Further study at the University of Technology (graduate in economics) (1966-1969). Employed by Bayerische Elektrizitätswerke (1966-1972). Employed by a large company (1972-1973). On the staff of the Max Planck Institute, Munich (1974-1975). Academic director at the University of the Armed Forces, Munich (1976-1984). Chairman of Munich Young Socialists (1973-1974). Member of the SPD area executive of South Bavaria (1987-1991). Chairman of the peace and security working party of the Bavarian SPD (1992-1999). 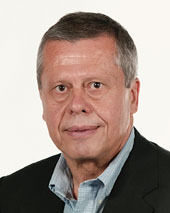 Member of the executive committee of the Bavarian SPD (1993-1999). Grand Silver Decoration of the Republic of Austria. Bavarian Order of Merit. Order of merit of the Federal Republic of Germany.